Ceva sponsors 2017 Global Animal Welfare Awards. Awards will honor veterinarians who provide exemplary welfare-related services. The World Veterinary Association (WVA) Global Animal Welfare Awards will honor veterinarians who provide exemplary welfare-related services to animal owners, shelters, fellow veterinarians, and the general public. Industry leaders and veterinarians are invited to nominate colleagues who demonstrate their consistent commitment to improve the welfare of animals. The Global Animal Welfare Awards 2017 will be presented to one veterinarian from each of the six WVA regions (North America, Latin America, Europe, Africa, North Africa/Middle East and Asia/Oceania). 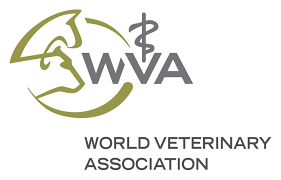 The WVA Animal Welfare Awards Ceremony will take place during a luncheon in Korea during the 33rd World Veterinary Congress to be held this August. Winners will receive a monetary award of 5.000 Euros. Complete Nomination Form by clicking this link. Supporting letter from the nominator who is familiar with the nominee’s contributions in the Animal Welfare field. Letter from the nominee describing his/her contributions in the Animal Welfare field. Professional CV of the nominee. Any material to support the candidate (scientific articles, news items, videos, involvement in Animal Welfare projects, other recognitions etc.). Completed application must be submitted by April, 30th 2017, 12:00 pm (Brussels time). For Ceva Santé Animale, Dr. Marc Prikazsky Chairman & CEO said, “I am very proud that as Chairman of Ceva, we are able to accompany the WVA in the creation of these important new awards. As a veterinarian, I have felt for some time, that the profession needed to bring welfare back to the center of what we do. Animals contribute enormous value to our society and as veterinarians, we have a pivotal role to ensure that their health and welfare is always a priority. I look forward meeting the inaugural winners of the Awards”.